Today’s leading companies are starting to offer more food and beverage options for their employees. Why? It’s not only seen as a great fringe benefit, but productivity soars when employees are given less reasons to leave the office. 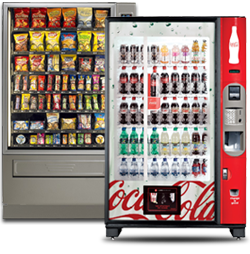 Why not tap into this trend by engaging Choice Vending Supply’s beverage, snack or food vending services? We offer a wide range of beverages, snacks, fresh & frozen foods and office coffee vending machines. All items are completely customizable to your preferences, including the ability to add healthier items. Furthermore, if we don’t have something you want, simply scan our QR code on the machine and tell us exactly what you want. Regardless of the type of vending service you employ, all products are vended by the most modern, state-of-the-art machines – installed and maintained at no extra charge. Machines include today’s newest technologies, such as cashless vending (with credit/debit card readers) low-energy consuming LED lights and even touch screen keypads. Regardless of the type of vending service you employ, all products are vended by the most modern, state-of-the-art machines – installed and maintained at no extra charge. Machines include today’s newest technologies such as cashless vending (with credit/debit card readers) low-energy consuming LED lights and even touch screen keypads. 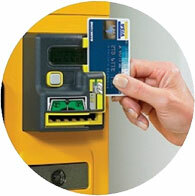 When it comes to vending services, you have a “Choice” – but the best one is Choice Vending Supply. 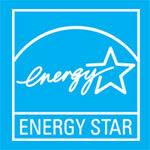 Contact us today at 801-676-6480 or info@choicevendingsupply.com to set up your free, no obligation consultation.